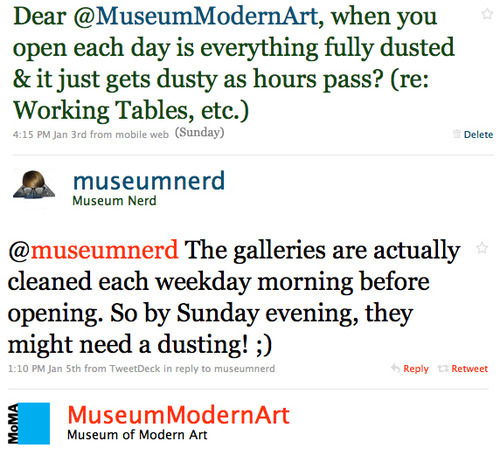 Dust at MoMA on a Sunday afternoon? What's up with the that dust? Curious about something at a museum? Just ask them on twitter! Thanks so much to Victor for finding out for me.